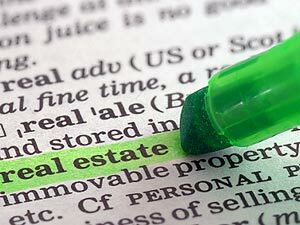 When buying a home you should familiarize yourself with these common real estate terms. Throughout the home buying process Christine Smith an experienced Collingwood REALTOR® will be available to explain any unfamiliar terms you encounter. That being said here is a short list of terms you will want to familiarize yourself with. Adjustable Rate Mortgage – Also known as a variable-rate loan, an ARM is one in which the interest rate changes over time, relative to changes in the lender's prime interest rate. Agreement of Sale – Also known as contract of purchase, purchase agreement, or sales agreement according to location or jurisdiction. A contract in which a seller and buyer agree to transact under certain terms spelled out in writing and signed by both parties. Appraisal – A professional appraiser's estimate of the market value of a property based on local market data and the recent sale prices of similar properties. Closing Costs – The costs to complete a real estate transaction in addition to the price of the home, to include: points, taxes, title insurance, appraisal fees and legal fees. Debt-to-Income Ratio – A ratio that measures total debt burden. It is calculated by dividing gross monthly debt repayments, including mortgages, by gross monthly income. Down Payment – The money paid by the buyer to the lender at the time of the closing. The amount is the difference between the sales price and the mortgage loan. Requirements vary by loan type. Smaller down payments, less than 20%, usually requires mortgage insurance. Earnest Money – A deposit given by the buyer to bind a purchase offer and which is held in escrow. If the property sale is closed, the deposit is applied to the purchase price. If the buyer does not fulfill all contract obligations, the deposit may be forfeited. Equity – The value of the property, less the loan balance and any outstanding liens or other debts against the property. Easements – Legal right of access to use of a property by individuals or groups for specific purposes. Easements may affect property values and are sometimes part of the deed. Escrow – Funds held by a neutral third party (the escrow agent) until certain conditions of a contract are met and the funds can be paid out. Escrow accounts are also used by loan servicers to pay property taxes and homeowner's insurance. Homeowner's Insurance – A policy that protects you and the lender from fire or flood, a liability such as visitor injury, or damage to your personal property. Lien – A claim or charge on property for payment of a debt. With a mortgage, the lender has the right to take the title to your property if you don't make the mortgage payments. Mortgage Insurance – Purchased by the buyer to protect the lender in the event of default (typically for loans with less than 20% down. Available through a government agency like the Federal Housing Administration (FHA) or through private mortgage insurers (PMI). Possession Date – The date, as specified by the sales agreement, that the buyer can move into the property. Generally, the it occurs within a couple days of the Closing Date. Pre-Approval Letter – A letter from a mortgage lender indicating that a buyer qualifies for a mortgage of a specific amount. It also shows a home seller that you're a serious buyer. Principal – The amount of money borrowed from a lender to buy a home, or the amount of the loan that has not yet been repaid. Does not include the interest paid to borrow. Title – The right to, and the ownership of, property. A Title or Deed is sometimes used as proof of ownership of land. Clear title refers to a title that has no legal defects. Title Insurance – Insurance policy that that guarantees the accuracy of the title search and protects lenders and homeowners against legal problems with the title. Need help with additional home buying terms? Contact Christine Smith by email or call (705) 888-0201 to learn more about what she can do for you!